With a hard-hat tour of the new Spencer Cancer Center Wednesday morning, East Alabama Medical Center showcased a facility that will increase the size of its current cancer center by 287 percent. The new $39.7-million facility, which is expected to treat 15,000 patients annually, is slated to open on June 13 with a transition over from the current location starting on May 11. Jay Walters, director of facilities at EAMC, said that construction was focused on a facility with the patient in mind, with patient care toward the back of the building and ample window views of the surrounding landscape. 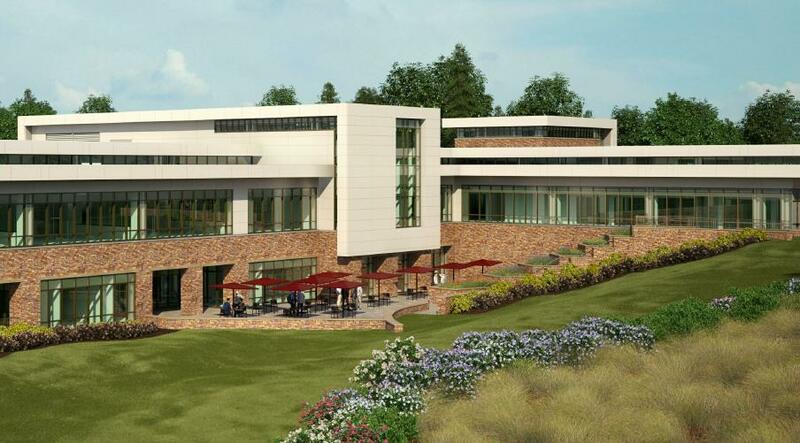 Built on 15.66 acres of land, the new two-floor facility will total 59,596 square feet. The first floor will be used for radiation oncology, while the second floor features space for medical oncology, a pharmacy and a boutique, which includes specialized fitting rooms, wigs and accessories. Once completed, the facility will have 28 treatment chairs and 10 extension chairs for non-oncology patients. In addition to its additional treatment chairs, the number of medical oncologist offices and exam rooms will also increase. The current center, which has just 18 treatment chairs and six extension chairs, opened in 1992 and averages treatment for 784 patients with chemotherapy each month and 40 to 50 patients with radiation each day. Check, payable to the EAMC Foundation and mail to: EAMC Foundation, 2000 Pepperell Parkway, Opelika, Alabama 36801. Donors are asked to note on the check that it is for the Spencer Cancer Center and to include a note if the donation is in honor or memory of someone. Online, by visiting www.eamcfoundation.org and clicking on the blue “Donate” button at the top of the web page. Then, click on “Spencer Cancer Center” in the left column and complete the required fields. For more information, visit the foundation website or www.eamc.org.